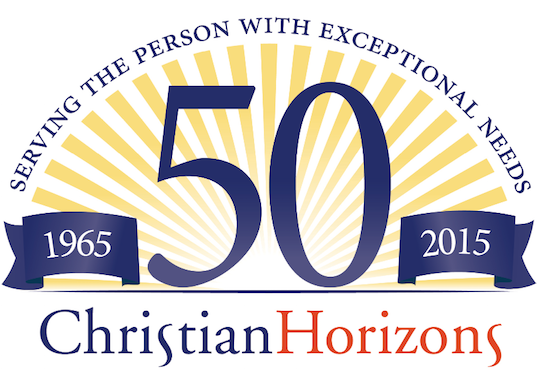 This year Christian Horizons has been celebrating their 50th Golden anniversary. They are so grateful for the many blessings and the significant support from their church partners that God has provided. 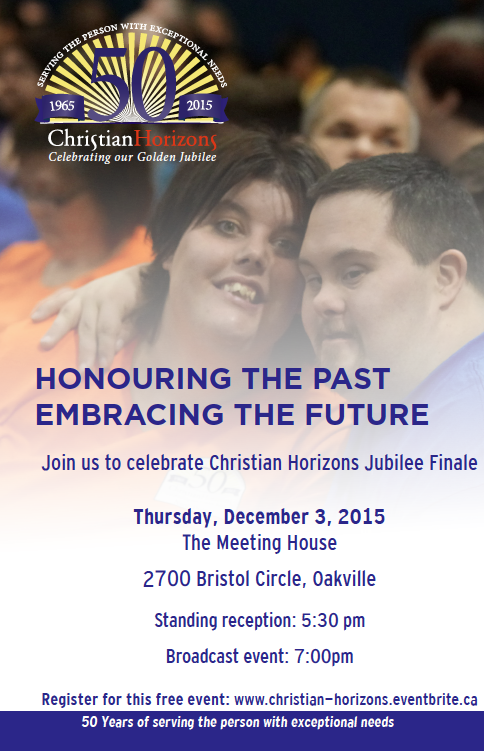 Christian Horizons is extending an invitation to anyone who has supported or been a part of Christian Horizon’s ministry to their celebration on the evening of Thursday, December 3rd at The Meeting House in Oakville. This date is also the International Day of Persons with Disabilities. The celebration will include a standing reception in the foyer of The Meeting House from 5:30-6:30 pm. At 7:00 pm, guests will be welcomed into the theatre where they will join with numerous Christian Horizon sites across the province for the live broadcast originating from The Meeting House. This portion of their Jubilee Finale will include an address from keynote speaker, The Honourable David C. Onley, former Lieutenant Governor of Ontario. For more information, contact Melissa Campion, mcampion@christian-horizons.org or 519-650-0966 ext 3324.